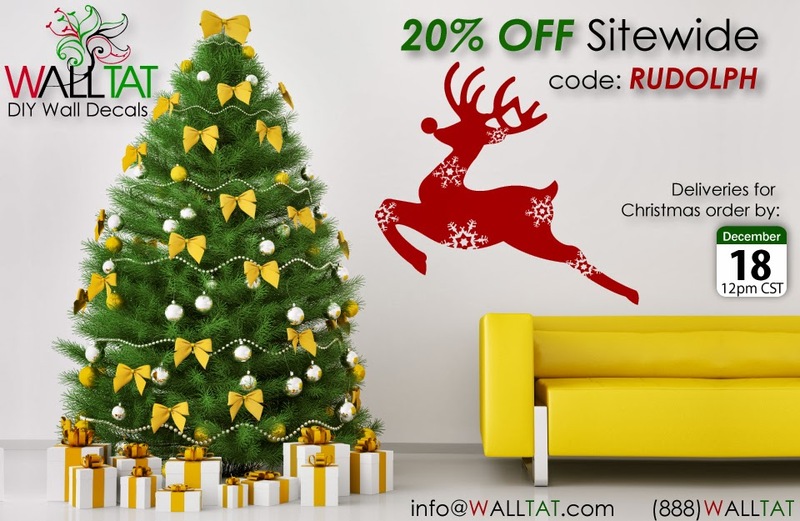 For U.S. customers, the WALLTAT Wall Decals Christmas Delivery deadline for 2013 is December 18th. Orders placed after 12/18 cannot be guaranteed for delivery on Christmas depending on your specific location. 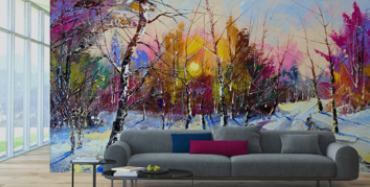 International shipments cannot be guaranteed, but anyone can join in the discounted savings! To continue in the spirit of online holiday shopping, we are offering another sitewide 20% OFF SALE that runs through midnight, 12/18/13. 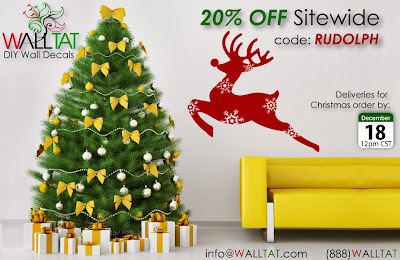 This amazing discount can also be used to purchase Wall Decal Gift Certificates that can be printed instantly from your very own cozy home or office. To ring in the savings, enter coupon code: RUDOLPH during checkout.